He started off simply enough, wanting to connect a thermocouple to an Arduino, read out the value, and issue an alarm when the temperature got too high. But who could stop there? Just one air-baffle servo away from a closed-loop heating control system? So [rockfishon] added a display and a few more buttons and has a system that will keep his wood-burning stove running at exactly the right temperature, even overnight when nobody’s around to tend it. As a bonus, everything is logged for later analysis. The code is relatively straightforward, and can be found in this Gist. If you’d like to build your own, you’ll need an Arduino Mega and can then get the control board made for you at OSHPark. Judging from the comments on the Hackaday.io project page, a couple people have already tried this out. 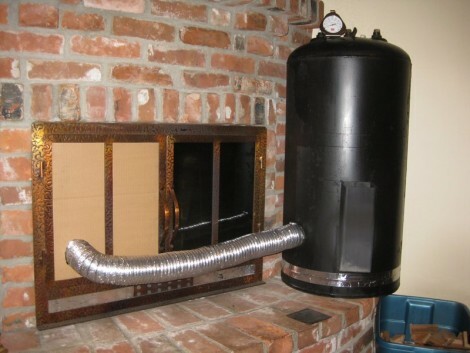 We’ve seen other wood-stove monitoring hacks before, but this is the first we’ve seen that closes the control loop. Very cool. FormLabs resins operate best between the comfortable temperature range of 18 – 28°C (64 – 82°F). For many of us experiencing the chillier weather these days, our garage workshops can easily drop below those temperatures and cause our prints to fail. Rather than hunker down for the freeze and wait for the world outside to defrost, [MarkStrohbehn] has discovered a budget heating technique that heats the print chamber from the inside instead. This trick comes in two parts. First, to bring the temperature up, [Mark] installed an egg incubator inside the chamber using a powerful magnet attached to the fixture containing the lead screw. Next, to maintain the warm temperature, he’s taped together an insulating jacket composed of several layers of off-the-shelf mylar emergency blankets. Finally, he’s managed to slip the egg incubator power cable cleanly under the FormLabs lid without triggering the open-lid sensor. This hack is staggeringly simple but effective at reducing the odds of failed prints through the cold weather. Best of all, the modifications are far less invasive than other upgrades made to 3D printers, as it requires no modification of the Form1+. For those of us who haven’t seen the sun in a few months, rest assured that you can still churn out parts. For those of you not familiar, an induction heater is a device capable of heating something up very rapidly using a changing magnetic field. [RMC Cybernetics] decided to build one and was nice enough to write up the project for the Internet’s learning and amusement. A full explanation as well as a schematic and build instructions are provided on their website. 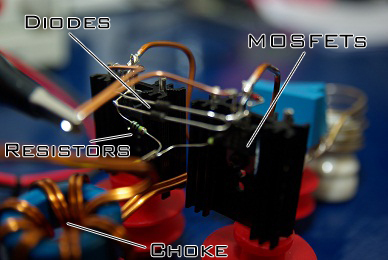 This heater works using a principle involved in most transformers. When there is a change in the magnetic field near a conductive object, a current will be induced in it and it will generate heat. Interestingly enough, while transformers are designed to minimize this heat, an induction heater instead aims to maximize this heat in whatever object is placed within the coils. [RMC] Has provided a video of how to build the heater as well as it in action after the break! Skip to to 1:42 to see the heating in action. Or watch the whole thing to see how it’s built. 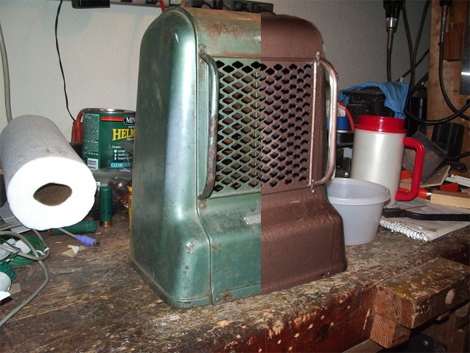 [John] found an old Kenmore electric heater at a junk store one day, and thought it would look great in his bathroom. The only problem with the unit is that it was built back in the 1940s/1950s, so it lacked any sort of modern safeguards that you would expect from an indoor heater. There was no on/off switch, no fuse, no thermostat, and no tip switch – though it did have a nice, flammable cloth-covered power cord. Since [John] wasn’t too keen on burning his house down in the name of staying warm, he decided to retrofit the old unit’s shell with a new ceramic heater. He found a $20 unit that looked like it would fit, so he disassembled both heaters and got to work. The Kenmore’s innards were scrapped, then he gave the unit a nice fresh coat of high-temp paint. The new heater was cut to fit inside the old unit’s shell, controls and safety features intact. He says that it works very well, and that it looks great in his bathroom. If you’re considering doing something similar, be sure to check out his writeup – it is very thorough and has plenty of details that will help you along the way. [Tim Williams] likes to heat things up with this induction heater he built. At peak it can use 1000W and as you can see in the video, that’s more than enough power to heat, burn, and melt a plethora of different objects. The case design uses a center divider to isolate switching noise from the magnetic field with the whole unit housed in aluminum because it won’t heat up from stray magnetic fields. He’s selling plans and kits in case you want one, but we just don’t know what we’d use it for.